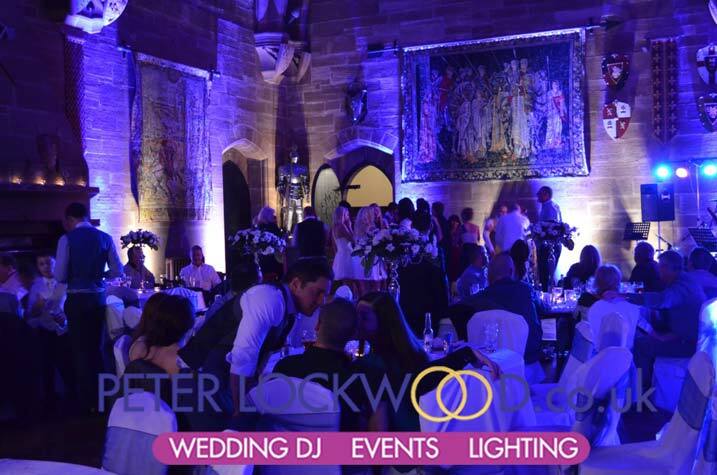 Peckforton Castle Wedding Lighting. 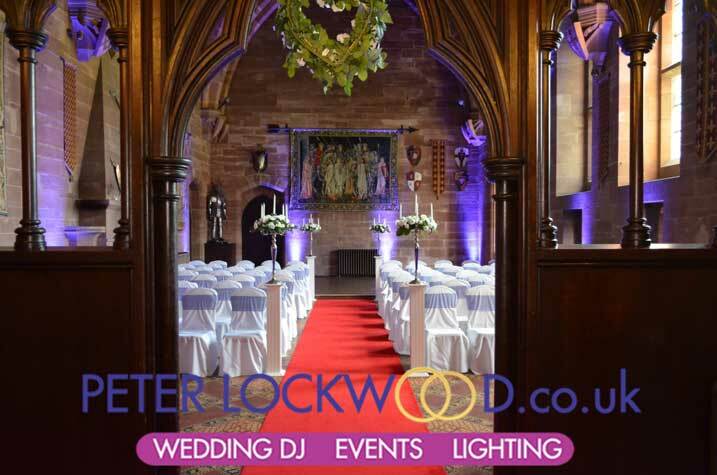 I had the pleasure of providing purple wedding uplighting in the Great Hall at Peckforton Castle in Cheshire. 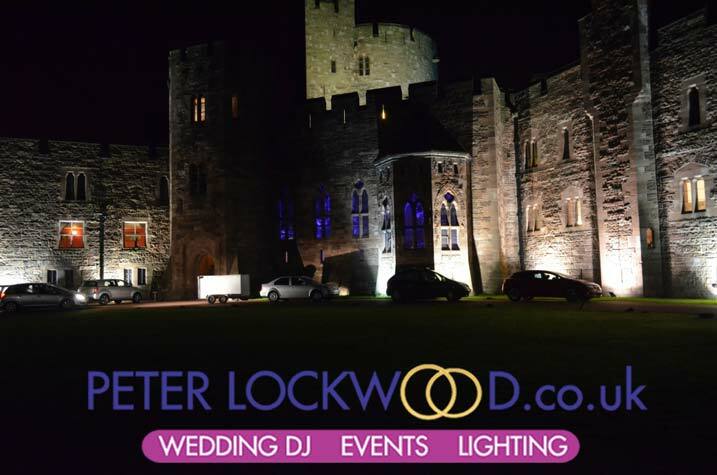 It is breathtaking when you drive in the courtyard I can see why its so popular with couples wanting to hold there weddings in this stunning venue. The first picture was taken in the day time when I set up the uplighting in the Great Hall. 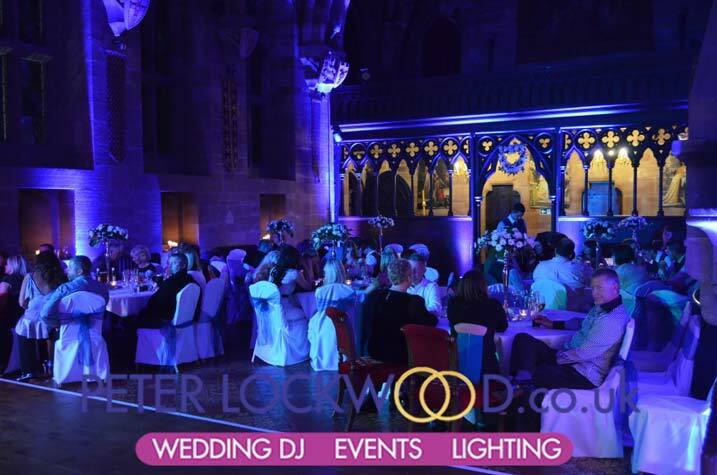 You can see how bright it was with the shadows on the red carpet, the purple uplighting is still visible on the lovely stone walls of the great hall, this is due to the high power uplighters that I use. 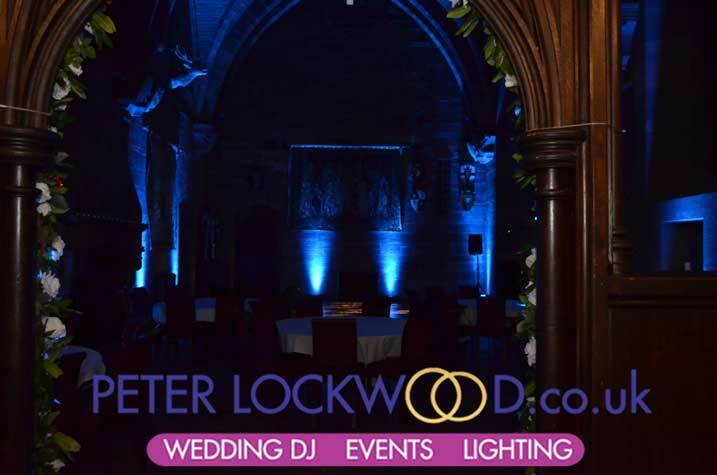 This is the first time that I have provided my wedding lighting services in Peckforton Castle, its such a nice venue I am looking forward to my next visit. 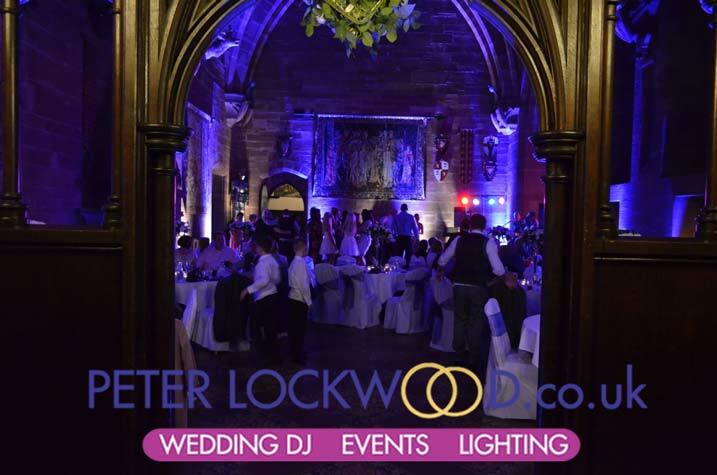 If you want to find out more about Peckforton Castle click on the website >>Link<< The room looks so much better in the evening Its a shame that they had the white lights on around the dance floor area. Look at the picture below that shows the purple uplighting from outside the great hall. 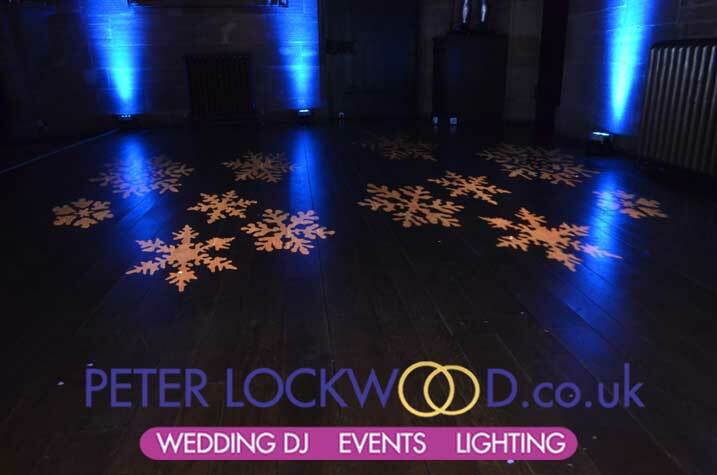 For my next visit in the Great Hall at Peckforton Castle I provided Ice Blue Up Lighting and Snow Flakes for a Winter Wonderland feel.